The Santa Maria farm is located to the east of the city of Tetucigalpa, Honduras. The 1000 acre property has a unique and complex topography that rises and falls, creating a series of hilltops and valleys, twenty percent of which is located in La Tigra National Park. 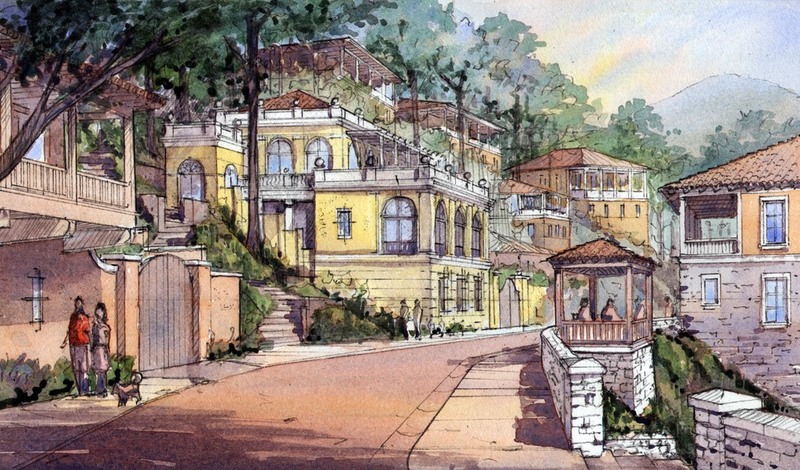 Santa Maria will be a complete town, creating a new center for the east end of the city. 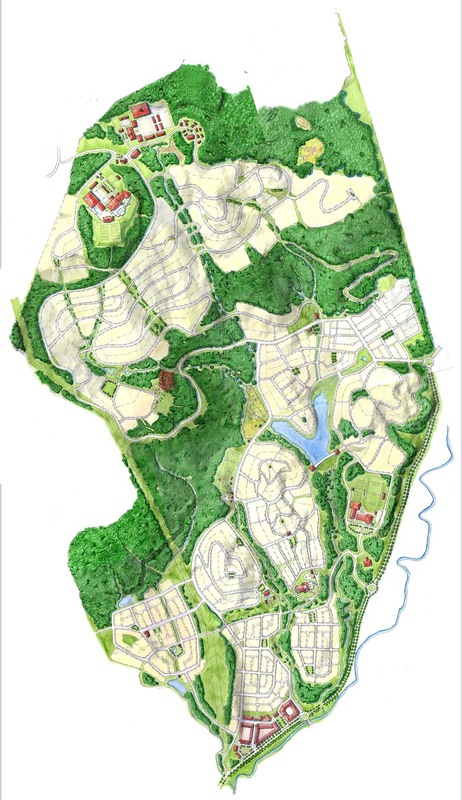 The master plan takes advantage of the unique topography to create a series of compact, walkable, hilltop neighborhoods with a full range of uses and housing types, while preserving all the important environmental features of the site. The project was designed in collaboration with Castillo Arquitectos and Milt Rhodes.